Glistening jewels of any kind have captured human attention for years upon years. I’ll never forget the first time I rode down into a coal mine exhibit. The guides announced it to all the tourists, and emphasized safety to parents – they wanted us to experience the darkness. So for just a moment, the lights were turned out. And the black of darkness was all you could see, so deep that you felt it on your skin. But only for a single moment and then the lights were back on. Perhaps this experience just before arriving in the mine area is what made me gaze upon the glistening walls, pondering over the glimmer and wondering if there could be anything of worth embedded within. Many of us keep an eye out for those whose behavior is kind and compassionate. We recognize the deep darkness of this world and long for glimmers of hope; someone to shine in the darkness. We can teach our children to look for ways to be a light for Jesus. It requires being intentional, yet it doesn’t have to be difficult. 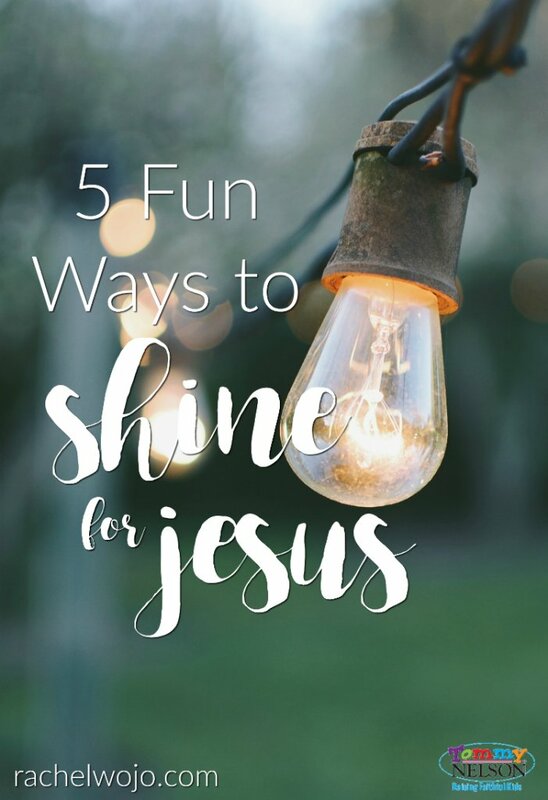 Let’s check out these 5 fun ways to shine for Jesus! Pray whenever the need arises. Just this week, I was in a group of 3 women at a restaurant and we prayed as we were parting ways. One of the waitresses came over and gave us a huge hug. I don’t remember her exact words, but she said something to the effect of: “God bless you beautiful ladies for being bold in your faith.” We teach our children to pray at home, but moving that to an appropriate public setting is a wonderful way to shine for Jesus. Wear jewelry or clothing that shares your faith. Every year my children are involved in various camps, vacation Bible schools, youth groups, and church events with one thing in common. These types of opportunities often provide t-shirts with God’s Word on the sleeve, across the back or an emblem with a cross or some other Christian logo. Affirming and encouraging your child when he or she wears this sort of item can encourage their hearts to be bold should someone ask them what it means or where it came from. Make a donation to the local food pantry or clothing bank. Have extra you don’t need? Have a “find and give” day when you sort through closets, drawers or toy boxes. Shopping a clearance sale? Maybe those items are the very ones to meet the needs in your local homeless shelter. Color some pictures and drop them off to a nursing home or rehab facility. Elderly people love to see children. For those who have no grandchildren of their own, or who rarely receive visits from the loved ones, these sweet handmade pictures will brighten their rooms and provide food for thought. Add some glue glitter or shiny stickers for a little extra sparkle and shine! Mail encouraging cards to your church’s military families or missionaries serving overseas. Have your child practice copying Bible verses into the cards. This will bless the heart of your child and those you are working to encourage! My prayer is that these ideas give you the inspiration to choose one and follow through on an easy, but intentional way of shining your light for Jesus! If you want your girl to shine, share this adorable, new Butterfly Sparkle Bible in the International Children’s translation. 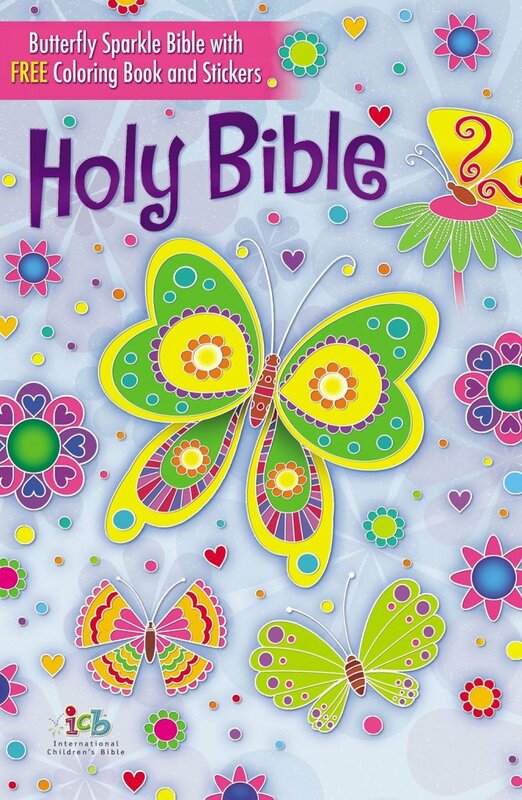 This beautiful, sparkly ICB Butterfly Bible will engage little girls’ hearts with its shimmery glitter and foil-decorated cover, along with the free butterfly coloring book featuring more than 50 colorful stickers. 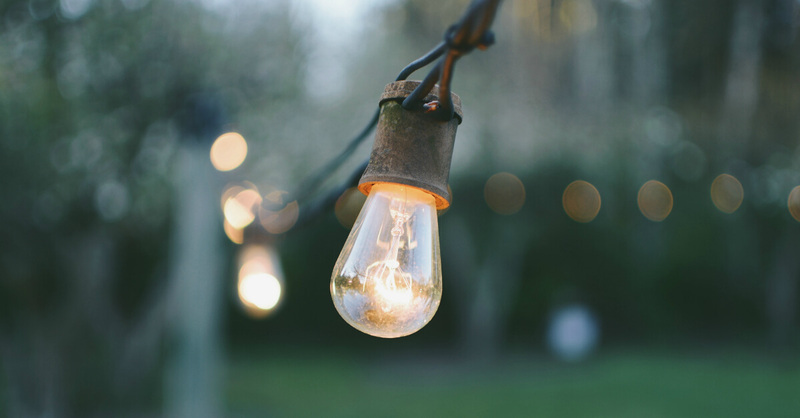 What are some simple ways you and your family shine your light for Jesus everyday? This entry was posted in Blog, Tommy Nelson and tagged Blessing Others, Butterfly Sparkle Bible, Serving Others, Sharing Light, Shining for Jesus by Rachel Wojo. Bookmark the permalink.